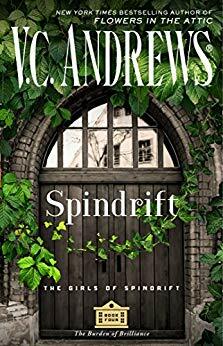 Book Four of the Girls of Spindrift. From the New York Times bestselling author of the Flowers in the Attic and My Sweet Audrina series (now Lifetime movies) continues a haunting new series featuring highly intelligent teenage girls who struggle to survive a specialized high school and find their place in a world that doesn’t understand them. Such is the burden of being brilliant. The ivied walls of Spindrift corral the brightest young minds in the country. Through these ancient halls walk geniuses too intelligent to truly fit in amongst their peers back home. For many, these stone walls are an island of sanity in a distrusting world. Among these students stride a clique of three beautiful girls known as the Supremes—Corliss, Donna, and Mayfair. They rule the school with a well-manicured fist. For Donna and Corliss, this is the only place they’ve felt at home. But Mayfair…Mayfair is different. One day, Mayfair disappears, after having met a mysterious older man in town only the day before. The three girls snuck into town together, so Donna and Corliss feel responsible. They ..